Francis Vega of Cricket Forge created the Original Butterfly Bench in 1999. Since then many have tried to copy it, but no one has been able to match its beauty or durability. If the bench is not stamped ©Cricket Forge, it's not The Original Butterfly Bench, don't be fooled with imitations. If it is stamped Cricket Forge you can be assured of the quality, craftsmanship, and integrity of a well designed and handcrafted work of art that is made to last a lifetime. Steel benches made in the USA. Click on image to enlarge. Call to order or stop in Main Exhibit Gallery. Availability and prices subject to change. 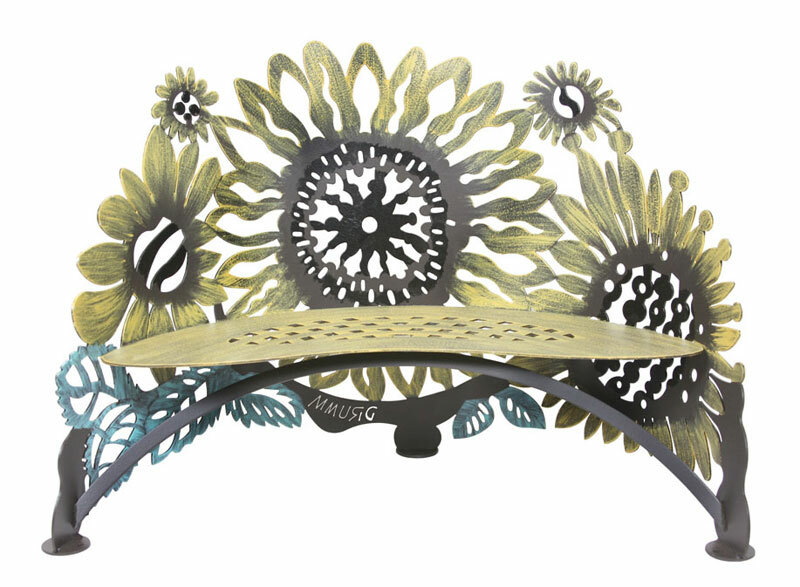 Capture the warmth and sleepy sunlit days of summer all year long with this hand painted and beautifully designed Sunflower Bench. Each flower has a unique and interesting center which captures your attention and keeps you continually finding new and unique pieces of the design. 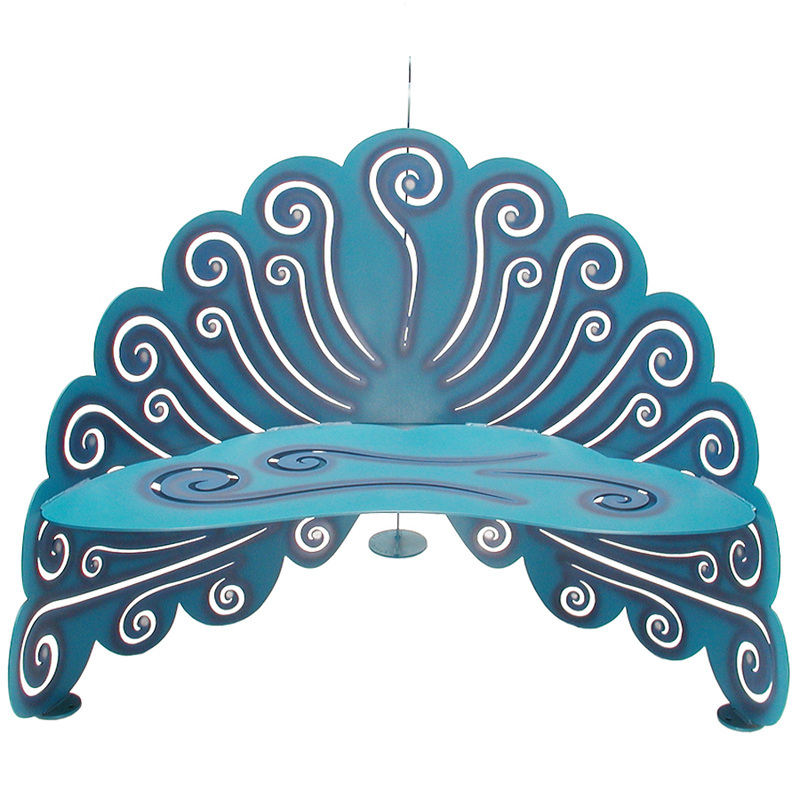 Beautiful in a garden, on a patio or in your favorite sunny spot in your home. You and your guests will love this piece for years to come. Available only in the color shown. No assembly needed! 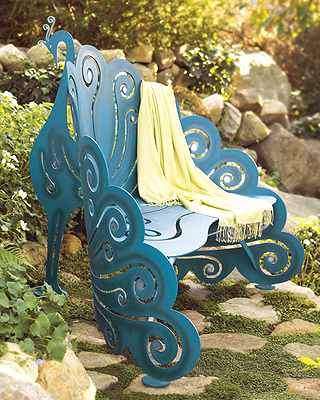 This gorgeous, modern Peacock Bench from the designers of Cricket Forge turns your favorite garden or yard spot into a nature-inspired wonderland meant to rest the body and inspire the imagination. 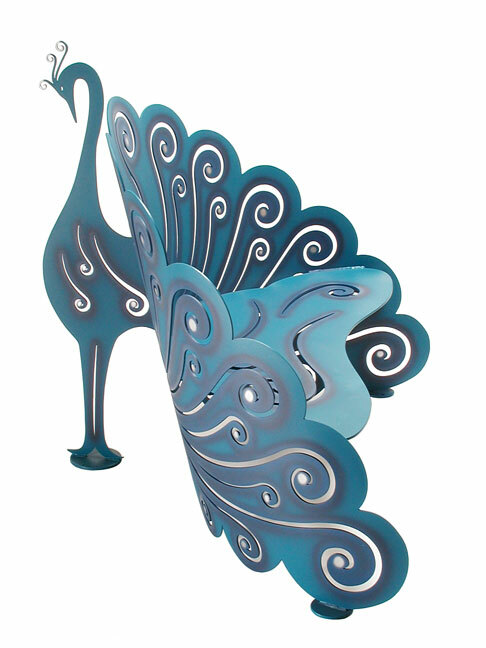 The flowing contemporary look captures the elegance and beauty of a beloved feathered friend in strong and sturdy 1/4" steel, hand-painted using a weatherproof combination of zinc and epoxy that looks marvelous and resists oxidation to survive years of climate changes. Give yourself the gift of relaxation and contemplation. Give yourself the gift of a little "me" time. Measures 60"W x 44"D x 48"H.